Here is your chance to get your hands on 12 different free samples of various snacks and treats. The offers are listed on our site and all you need to do is choose the ones that you are interested in, either 1, 2, 3, 4 or all 12, and follow the simple directions to order them for yourself. These samples will most likely take 6 to 8 weeks to arrive at your door. These offers will last as long as the company’s supplies do. Here is a great offer to try out WowButter absolutely free. The offer is for a single serve container so that you can try it out and see how you like it. 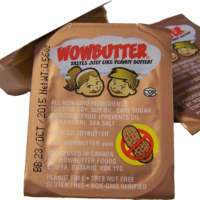 The best part about WowButter, aside from the great taste, is it is 100% gluten, peanut, nut tree and egg free. 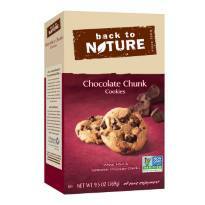 This is perfect for people who have allergies or are sensitive to certain types of foods. This sample will most likely take 6 to 8 weeks to arrive at your door. This offer will last as long as the company’s supplies do. This is a new offer being promoted by the generous folks over at Digitry. 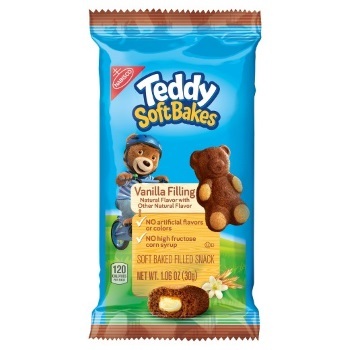 This offer is good for a free pack of Teddy Soft Bakes Vanilla Filling. To get this freebie offer, you will need to make a free Digitry account. After that you can go to the sampling section on your dashboard and choose the samples you are interested in. If you have trouble finding the section we have a link to it posted below. This sample will most likely take 6 to 8 weeks to arrive at your door. This offer will last as long as the company's supplies do. Thanks to the generous folks over at Ganoderma, you can get your hands on some free samples of their gourmet coffee. This offer can be found on the order page right on their site. Just visit them and provide them with an address where they can send the sample. The offer also comes with free shipping. This sample will most likely take 6 to 8 weeks to arrive at your door. This offer will last as long as the company's supplies do. 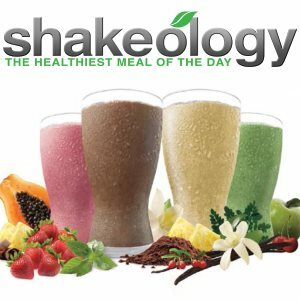 This is a new promotion brought to us by the generous folks over at Shakeology. They are offering up free samples of their chocolate shakes. If you think you would be interested in this sample, just visit their promo page and fill out the sample request form towards the bottom. This sample will most likely take 6 to 8 weeks to arrive at your door. This offer will last as long as the company's supplies do. 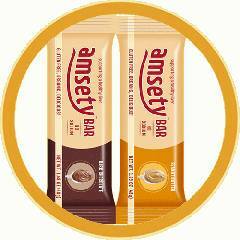 Checkout this great new offer from Amesty. They are offering up free full size samples of their healthy snack bars. If you would like to take advantage of this freebie offer, just visit their site and look on the right hand side for a short form. Fill it out and answer a few questions to snag your free snack bar. This sample will most likely take 6 to 8 weeks to arrive at your door. This offer will last as long as the company’s supplies do. Thanks to the generous folks over at The Spicy Gourmet, you can get your hands on free samples of their various samples. 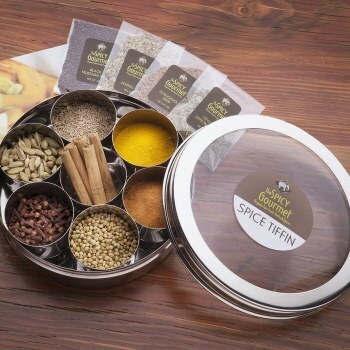 You can choose from any type of spice they carry, like (Cumin, Cinnamon, Black Mustard Seed, Thyme, Ginger, etc.). Visit their site now to request your free spice samples. This sample will most likely take 6 to 8 weeks to arrive at your door. This offer will last as long as the company's supplies do. Check out this great freebie from the generous folks over at Sandwich Bros. Visit their perks page, sign up and they will send you a 100% off coupon each and every birthday month. 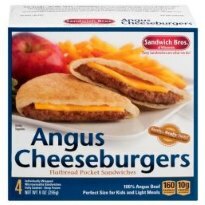 That’s right, you can get your hands on a free box of their Sandwich Bros sandwich melts at any supermarket. This is a great and delicious freebie! This sample will most likely take 6 to 8 weeks to arrive at your door. This offer will last as long as the company’s supplies do. This is a fantastic offer from Back to Nature. They are offering up free full size boxes of either their cookies or their crackers. To claim this offer all you need to do is visit their site and fill out the form. Please keep in mind that because of the fact that this is such a great freebie, it will go very quickly. This sample will most likely take 6 to 8 weeks to arrive at your door. This offer will last as long as the company’s supplies do. Here is a tasty offer from True Citrus. Visit their site and fill out the order form to get a free set of lemon mix packets. These mixes can be used to make lemonade or other lemon drinks and are 100% all natural. Order your tasty treat while its still live. This sample will most likely take 6 to 8 weeks to arrive at your door. This offer will last as long as the company’s supplies do. Head on over to the company’s FAQ page right here. Scroll down to the “General Questions” section towards the very bottom of the page. They state that “To request free samples, please send us an email to customercare@truecitrus.com. 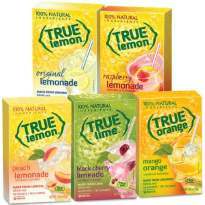 We are also happy to provide samples of True Lemon and True Lemon”. So all you need to do is shoot them an email at “customercare@truecitrus.com” and politely ask them for a free sample.